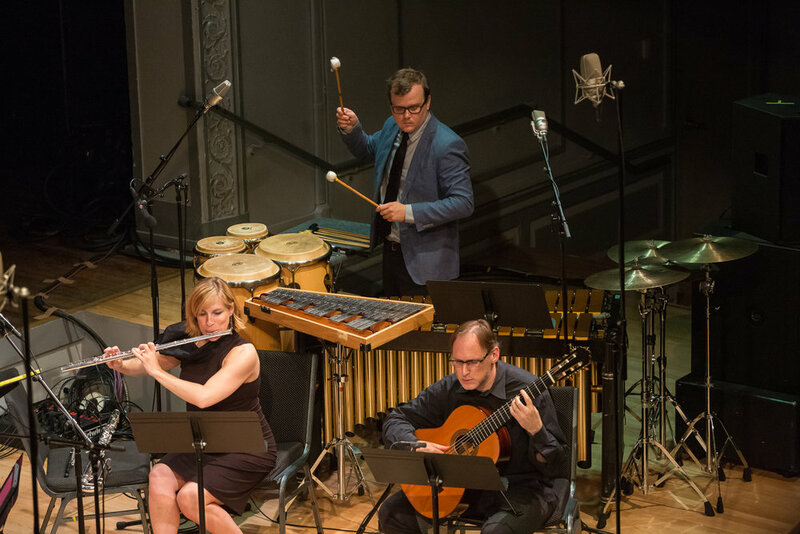 The International Contemporary Ensemble and The City of Tomorrow woodwind quintet present a three-part program featuring works by Ursula Mamlok, Natasha Anderson, and Felipe Lara under the direction of Nick DeMaison. The program includes rarely heard works by Ursula Mamlok alongside two US premieres by Anderson and Lara. Alice Teyssier and The City of Tomorrow feature as soloists. This performance is made possible in part by the generous support of the Dwight and Ursula Mamlok Foundation.